RAVENOL Transfer Fluid TF-0870 is a fully synthetic gear lubricant designed specifically for the latest generation of electronically controlled active transfer cases. RAVENOL Transfer Fluid TF-0870 is formulated with fully synthetic base oils (PAO) combined with special additives and inhibition. RAVENOL Transfer Fluid TF-0870 ensures optimum power transfer and ultimate reliability. 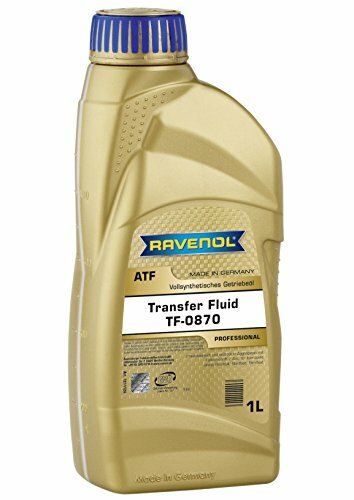 RAVENOL Transfer Fluid TF-0870 was specifically engineered and developed for use in active transfer cases. RAVENOL Transfer Fluid TF-0870 provides a stable viscosity even under the highest loads and temperatures. Always consult your service manual and confirm the specific fluid and oil requirements for your model.